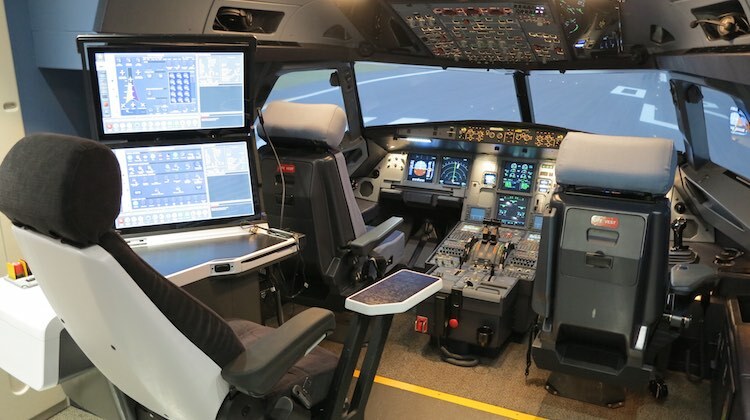 Inside the Airbus Asia Training Centre’s A320 full-flight simulator. 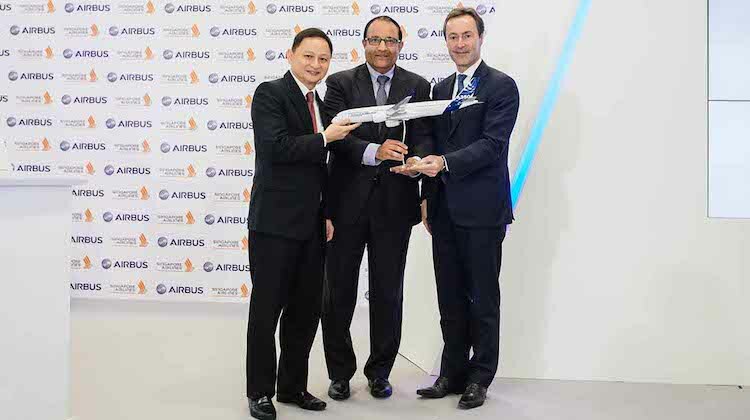 Airbus and Singapore Airlines have officially opened a new joint-venture pilot training centre that when fully operational will train up to 10,000 pilots a year. The Airbus Asia Training Centre, which already numbers Qantas and Virgin Australia among its 17 airline customers, began operations at a brand new 9,250sq m site at Singapore’s Seletar Aerospace Park earlier in April, and was officially opened on Monday by Airbus president and chief executive Fabrice Bregier, Singapore Airlines CEO Goh Choon Phong and Singapore’s Minister for Trade and Industry, S Iswaran. “We [forecast] that the region will need 14,000 aircraft over the next 20 years, so you can see the potential at least as far as pilot training is concerned,” Bregier explained at the opening ceremony. Airbus and Singapore Airlines are 55:45 per cent partners in the US$100 million joint-venture in what is the first time Airbus has teamed with an airline for a pilot training centre. “This aligns with one of the … strategies that we have adopted to actually go beyond the core business and to look at setting up business opportunities in adjacent areas,” Goh explained. The Airbus Asia Training Centre begins operations with an A380 and an A330 simulator transferred from the SIA Training Centre plus a brand-new A320 simulator. By the end of the year the facility will also boast a second A330 sim and two A350 sims, while by the end of 2019 another A350 sim plus a second A320 sim will be brought on line. The facility becomes the fourth Airbus pilot training centre worldwide, after Toulouse, Miami and Beijing, and will become the airframer’s largest as the additional simulators are brought online. As well as full flight simulators the centre will be equipped with six fixed-based training devices (APTs, or Airbus Pilot Transition) by 2019. It offers type rating, refresher, command course and instructor training. Airbus and Singapore Airlines also announced at the Singapore Airshow earlier this year a joint venture covering widebody aircraft heavy maintenance.